MATI CITY, Davao Oriental Jan. 22 (PIA) -- The Army here recovered two improvised explosives and a high powered firearm with M203 grenade launcher during an encounter with the Organized Crime Group (OCG) yesterday (Jan. 21) in Lupon, this province. The 30-minute firefight ensued between members of the 10th Infantry Division and the OCG at 10:35 in morning of Saturday at Sitio Barobo, Brgy San Isidro, Lupon, Davao Oriental. Accordingly, one section under 1Lt Rodel Daguio encountered about 20 fully armed members of the OCG, while the latter was heading towards the next outreach program under the 10th ID’s Peace and Development Outreach Program (PDOP). No casualty was reported on the government side, while an undetermined number of casualties was noted on the OCG side due to bloodstain seen in its direction of withdrawal. Brigadier General Leonido Bongcawil, commander of the 701st Infantry Brigade in his statement mentioned that several reports revealed that the involved OCG has been setting up an assault with continuous use of IED, unmindful of the safety of the civilians. Last week, the organized crime group attacked Sumifru Plantation based in Mawab, Compostela Valley, but was foiled by members of the 10th ID that resulted to six dead OCG members and the recovery of six high powered firearms and ammunitions. “The 10th ID will continue to thwart terror attacks such as land mining in order to perform its mandate to serve and protect the people,” Bongcawil said. In Davao Oriental, the Philippine Army also encountered said crime group at least three times last year in the municipality of Lupon such as at Brgy. 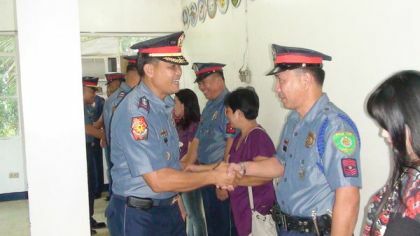 Tagugpo on June 26, at Brgy Maragatas on June 27, and at Sitio Kinawasan, Brgy. San Isidro on November 8. “The presence of this organized crime group will not hamper us from pursuing the desire of the government for a lasting peace for the people of Lupon,” said Ltc. Leopoldo Imbang Jr., commander of the 28IB stationed at Lupon.